Wood in architecture experiences its revival. It is very beautiful, functional and ecological. We are very aware of that, therefore actually this material has become our specialty. 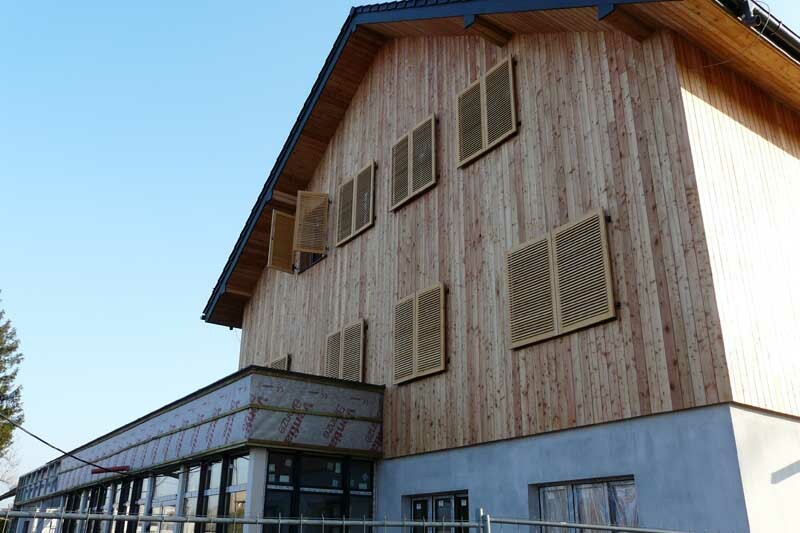 For over 10 years we make woode facades, terraces, shutter and blinds – both for household buildings and for industrial buildings. We design, install and thoroughly preserve wooden elements, in order to prolong their charm and reliability. We constantly care about competitiveness of our products and services. Materials are carefully chosen according to their quality and price attractiveness, we employ experienced professionals and improve qualifications. We follow the market and trends in architecture.Individual approach to each project is our advantage, but also elasticity, fast work pace, reliable transport and solid advisory. It’s worth adding that we modernize and enlarge our machine park systematically. We love to see satisfaction in the clients’ eyes and to be proud about well-done job or task. Thanks to such an attitude we have an established position on the market, our finished projects can be seen in different parts of the country – we operate throughout Poland. All drawings, sketches presented on our website are of a preview nature. If you have additional questions, doubts, you need advice , you are an individual client or a big investor, you are welcome to contact us. You only need to present us your vision and we will do the rest. 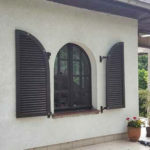 Our wooden elevations, shutters, wooden blinds and terraces decorate homes in Sweden, Germany, Denmark, France and the Netherlands.